Baroness Greenfield gave a sold-out public lecture at the University of South Australia last night, having previously worked in Adelaide as one of the South Australian Government’s thinkers-in-residence. The same could not be said of the younger generation, she argued. “If you’re a very young person and you haven’t developed, let’s say, a robust sense of identity, you haven’t got interpersonal skills, then clearly we’re going to see changes that we might not see in someone who’s older,” she said. The neuroscientist warned children who once used their imaginations were now more likely to sit in front of a screen, with a menu of choices someone else had designed. “The issue is that information isn’t knowledge. Of course you can be bombarded with endless information, endless facts, but if you can’t make sense of them one fact is the same as any other fact,” she said. She said an inspirational teacher or parent could be the key to young people developing the skills “to join up the dots” of the world around them. Baroness Greenfield said social media had its worthwhile uses, such as for communicating with family or friends across the world, but there was a problem when people had lists of friends “they didn’t actually know”. She said such “friends” were actually more of an audience. “You are out to entertain and seek their approval and the danger lies then in constructing an artificial identity that’s not really you at all,” she said. She feared some young people might grow up with short attention spans, keen to conform with their peers and lacking an ability to discern impact of their actions. “I just wonder whether we might be looking at a generation who are completely self-centred, short attention spans, not very good at communication, rather needy emotionally and with a weak sense of identity?” she said. Baroness Greenfield said the pace of change was exceeding the technological advances of the past. “People have often said to me ‘What about the car and the television and the refrigerator and the printing press even?’ They did make greater advances with those technologies on some people’s lives, but we were still living in the real world when we use those things,” she said. “Nowadays you could wake up in the morning and you could work, you could play games, you could shop, you could go dating all without actually living in three dimensions. She said some people might live in front of screens in a “world where you don’t look someone in the eye any more, you don’t hug them”. Baroness Greenfield said digital technologies had brought some amazing advances, such as finding information in just a few keystrokes, but she sounded a note of caution. “As a neuroscientist I am very aware that the brain adapts to its environment – if you’re placed in an environment that encourages, say, a short attention span, which doesn’t encourage empathy or interpersonal communication, which is partially addictive or compulsive … all these things will inevitably shape who you are,” she said. She said her aim was to encourage wide discussion about where societies were headed. “What we need to decide – and there’s not an easy answer, there never is – is what kind of society we want, what kind of world do we want to live in?” she said. She said children born now with the possibility of living perhaps to 100 would have to decide “what to do with the second 50 years of their life”. “It’s a question people often don’t think about – they know what they don’t want but it’s very hard [when people are] given a choice. Choice is not the luxury it might seem,” she said. Nicely written and thought-provoking. I do see a negative trend on face-to-face communication, and I’m as guilty as any, someone who’s been an Internet “addict” since the age of 13 or thereabouts. They tried to introduce ipad programme in my children’s school, (in some vain attempt to advertise the school’s progressive teaching methods) and have already introduced calculators in Grade 3-4!. Despite the rhetoric of management, and in response to their continued arbitrary teaching, we took it upon ourselves to investigate what’s out there? Upon a recent visit to one of Melbourne’s elite schools (Wesley Grammar) the middle school coordinator coincidentally echoed the ‘progressive’ schools’ mantra of the 70’s, that is, “they (the children) will not have to learn their times-tables….” I couldn’t refrain myself and blurted out my father in-laws 35 year old response, passing it off as my own. It seems that whether you’re kids are at a $25K a year school or a half baked wanna be school, they all seem to be focusing on the instruments and not the process. Over the past 20 years I’ve had graduates from universities all over Australia and Asia in my office only to find that, except for one, (who was just naturally talented) they lack tactility, empathy and an endeavour to challenge or test, all of which is required for a good old Socratic pursuit of truth. So in the the shadow of all the great educators, artists, scientists and Saints, prior to iPads, I suggest it wouldn’t do any harm to exclude this technology until at least year 11. Thank you very much Lemi for your comment. As a secondary school teacher I cannot but agree with you as I see within the classroom the ever-changing fads and ideologies that the education profession sees fit to throw at our youth, which seem to dumb them down. The argument is always couched in terms of “enquiry based learning”, but often I have yet to see where this “enquiry based learning” actually comes into the equation. A classic example that comes to my mind was the shift from the teaching of phonics, grammar and the mechanics of language to the “whole-reading method” which produced students in the 80s and 90s whose command of English was atrocious to say the least, and whose ability to learn other languages was seriously compromised. And as an educator and as a speaker of 4 languages, I can say that the methods of teaching languages other than English within Australia is disgraceful, and it directly impacts in a negative sense upon our business community and national trade which requires people who are culturally attuned and capable to speak, read and write in other languages. (-To the average Australian, it seems the sum of multiculturalism amounts to attending restaurants that offer differing cuisines and drinking foreign beverages! There is virtually no idea of differing cultures, dances, music, religions etc, let alone languages). Unfortunately matters have not been helped by the ever-increasing amount of bureaucratic redtape that teachers have to comply with and the efforts to restrict them from enforcing school policies, discipline and actually teach students curriculum and skills necessary for their future lives. Thus teachers in Australia (and the West in general) have become nothing more than glorified baby-sitters and pen-pushers spending more time with compliance issues and dumbing things down for students so schools can attain good scores in student exams so they can market themselves as attractive schools for parents to place their children. Is it any wonder students are getting bored and finding it difficult to focus on their studies and actually learn something. 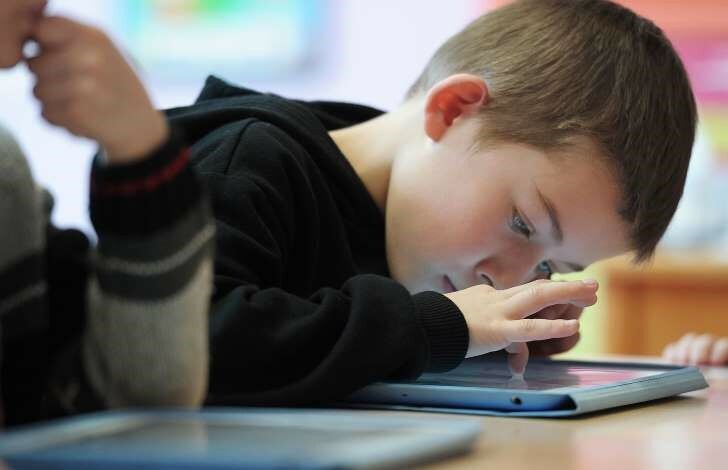 Time studies have shown that the average attention span of students has declined over the past 30 years, with an acceleration due to the advent of readily available mobile technologies such as tablets, iPads etc. The students are receiving the stimulus from these technologies and not from the content and process of learning. And even though schools have employed quite a bit of these various computer technologies etc, the students are getting burn out, they are becoming more anxious and tired because of the constant stimulus from mobile and computer technologies. Yet this situation is definitely not helped by the arrogance and imperiousness of many of the educational ideologues and teachers themselves, who are often excited by some idea or fad and try to impose it as a universal truth before any careful thought or analysis. I can recall how the teaching textbooks at University for those studying to become teachers forced down the throats of student teachers certain ideas -(and I should note that many of those propsective student teachers were impressionable youths who had come straight out of school without much experience of life or the world, or knowledge to begin with, but had lots of confidence for no reason!). Given these circumstances it is not surprising that an increasing number of parents are either undertaking home-schooling, or sending their children to tutorial schools on the side. Ironically, there is an oversupply of teachers within the teaching industry, as fewer schools are offering ongoing contracts or even casual relief teaching positions, and so many teachers are disenchanted by this state of affairs and are establishing tutorial schools and specialist colleges in response to the growing demand by parents for a proper and actual “enquiry based education”. -I believe this says it all! My wife and I used to joke about homeschoolers in that it was more fitting for people who would aspired to say, Steiner schools and the like, however, given our experience to date, it may be a reasonable consideration. I found Fr Peter Heers on your site recently and am benefiting from his English talks, in any case, in an intoduction to him by a Canadian priest there was some incidental anecdote about both these priests’ children participating, at least in part, in some commmon homeschooling programme, and from what I could speculate, from different continents! If thats the case it must be a broad phenomenom for Orhtodox Christian families seeking to build and steer, not merely insulate, their children within the school phase of their lives. Do you know of any network? I raise this in our continued quest to identify all the options available to our children. From our investigations, there is no authentic option, that is physical school, in Australia.